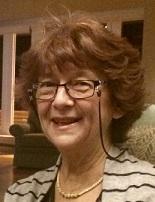 Maureen Ellen Campbell Jardine or known to everyone as “Moe”, 64 years old, of Glenville/Inverness, passed away peacefully on Friday, May 5, 2017 at Alderwood Rest Home, Baddeck, where she resided for the last four years. Born December 24, 1952 in St. John’s, NFLD, she was the daughter of the late James & Cecelia Campbell. She is survived by two sons, Eric Campbell Jardine (Inverness) & Bailey Garret Jardine (Montreal) and one daughter, Kelly Ann Scott (Cochrane, Alberta); two brothers, Gary Campbell & Jim Campbell (Edmonton); and two grandchildren, Hailee Jade Scott & Thomas Bruce Scott. She is predeceased by her husband, Eric Bruce Jardine. Moe has many friends and family members that we have heard so many stories from for so long that we will always hold these in our minds and hearts forever. There are so many kind messages that we have received from many people and we are very appreciative of this. We know she is now with Bruce dancing in his arms. The funeral service will be held at 11 a.m. on Saturday, May 13, 2017 at Stella Maris Parish in Inverness with Father Duncan MacIsaac officiating. Cremation has taken place under the care of MacAskill Funeral Home, Baddeck NS.